Is it a skateboard? Is it a caster board? No, it is the touted Sidewinding Circular Skate that allows you to ‘skateboard’ without the push needed off the ground level. As one can make out from the image, the contraption in question comprises of two circular wheels that have their foot pedestals upon the rims. 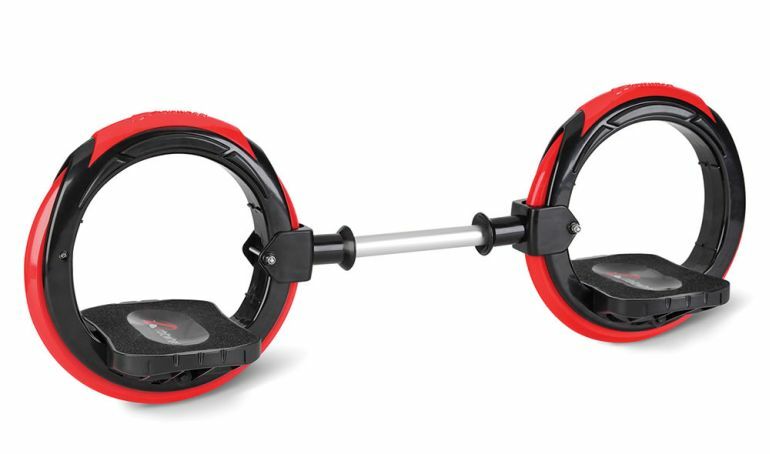 This setup does mirror the description for the $100 product in the Hammacher Schlemmer catalog – which pertains to two annular (or ring-shaped) skates that allows one to skim through the streets with ‘720 degrees’ freedom. This scope of breeziness is achieved by the aforementioned rubber wheels and their supportive platforms – both of which work together to allow the user to lean side-to-side. This action in turn propels the rider in a meandering motion which can be compared to the navigational ambit of longboard skateboarding. And also, since the wheels are not connected to each other (in the default mode), the rider can opt for those fantastical 720 degrees spin with aplomb. Of course, such spinning actions should only be reserved for the experts. The beginners also have the option of connecting these 10-inch circular wheels with an extendable rod, thus providing stability for the preliminary runs. 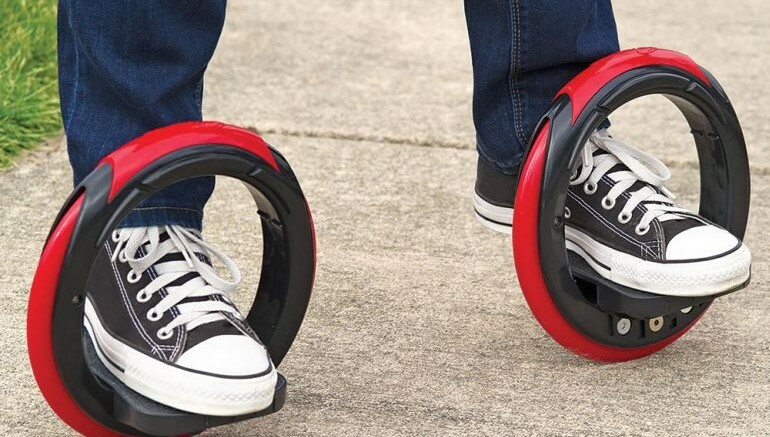 Lastly, the question remains – can the Sidewinding Circular Skate be truly considered a skateboard, when there are no actual ‘boards’ involved in the product? Well, the answer may lie in how the contraption is envisioned to be used – which is pretty similar to the motional scope (and thrill) of skateboarding. And in case you are wondering, the two annular skates can support weight of up to 200 lbs.